At Brewer Science, we are focused on delivering critical, real-time information to our customers to help them achieve their goals, solve their problems, and improve their current systems. In other words, we offer a complete solution, not just a product or a quick-fix—but an integrable solution to fit their needs. Brewer Science’s integrated sensor system is an automated system that enables more predictive analytics. Our systems provide real-time monitoring capabilities of equipment performance to improve efficiency and prevent costly equipment failures. Printed electronics is the use of printing methods to create electrical devices on different types of materials (substrates). Typically, different types of inks are printed to lay functional electronics or optical inks creating active and passive devices like transistors, capacitors, and resistors. The inks and printing techniques create a unique technology that allows for lower cost of ownership, with greater flexibility and speed. What makes up printed electronics? We design and print our own sensors for various applications in the marketplace. 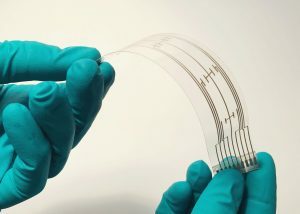 These sensors are customizable with a flexible form factor due to the printed nature of the sensor. Printing the sensors on various substrates gives us the ability to create multi-sensor arrays, giving you the customer more data points for their given applications than ever before. Not only do we use our own sensors but we have the ability to combine our sensors with other third-party sensors to create a completely customizable and integrated system to meet customer requirements. What makes Brewer Science materials unique? There are many different methods of printing printed electronics, each with their own advantages and disadvantages. Brewer Science has the ability to print on many substrates using the printing technique that best fits your printed electronics needs. Brewer Science is actively working on taking the next big step in printed electronics: creating a completely printed electronics board to coexist with our sensor systems. 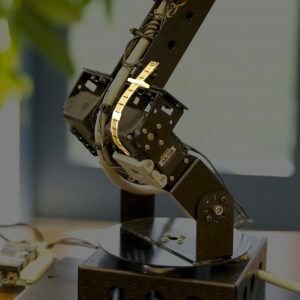 Brewer Science has the ability to create unique electronic circuit boards to enable your systems to integrate easily to your existing systems stack. We have the ability to design and populate the circuits boards in-house with connectors, communications tools, and cabling. The capabilities with printed electronics are endless when you have software development in-house working to take your systems data to the next level of analysis. Brewer Science has the ability to develop algorithms for your unique system and integrate at the device level. In addition, we have the ability to develop cloud-based systems together for your key stakeholders to analyze and determine the next steps with your system. Our unique approach to fingerprinting data and software analysis allows for translation into real-time, actionable, critical information. Together, we can work collaboratively to create a user interface that gives your team the ability to easily interpret data. These software platforms are designed to be secure over different types of networks and are easily integrated into existing industrial platform interfaces.